Whether or not this has anything to do with a cancelled smartphone game Disney was developing is unknown. Perhaps a possible localization of X[chi]? Since the CBT for the browser game began today, I thought I would take a few screenshots and give a brief run-through of the Beta test experience. The official site for the upcoming site has indeed been launched. And only a day before Kingdom Hearts 1.5 HD ReMix's release to boot! So anyways, 4Gamer has released an article on the subject with a few viewable screenshots as well as some info concerning the game's Closed Beta Test. (Or "CBT") A translation of the article will hopefully be available soon. Kingdom Hearts for PC Browsers has a new title! 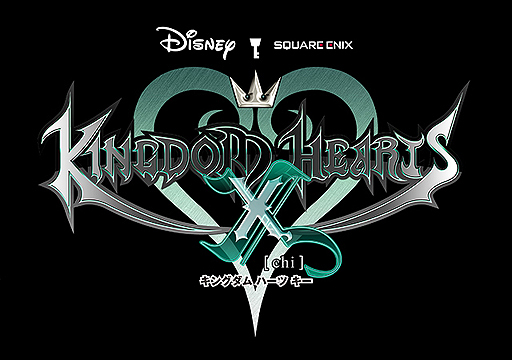 Kingdom Hearts x [chi] (Or Kingdom Hearts Key as it is pronounced) has been given a new logo as seen above. 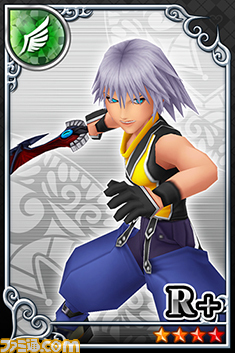 Famitsu.com has also updated with an article depicting the information and giving High Quality renders of the Logo and 2 Pre-bonus cards of Sora and Riku that can be seen below. These Pre-order cards contain exclusive codes for the PC game and can only be gained by Pre-rdering the HD 1.5 ReMix from the E-Store. 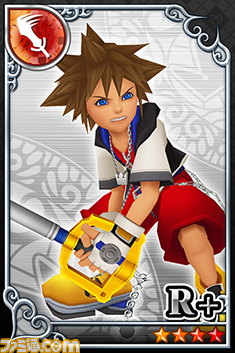 Cards like Sora and Riku can be used in battles. Munny is used to synthesize cards and draw points can be exchanged for cards. Potions restore your energy to do actions and ether recovers the necessary power you need to battle a boss. Kingdom Hearts X[chi] will be a free to play game where you control an original character that travels to other Disney worlds. Virtual items will be sold as downloadable content. An interesting tidbit is Kingdom Hearts X[chi] is developed by Success Corporation, the company behind Operation Darkness, Metal Saga, and Tokyo Beat Down.